Are you looking to allow your signers to register on your WordPress site automatically? The WordPress User Registration after Signing Add-On for WP eSignature makes registering users as easy as 1-2-3. 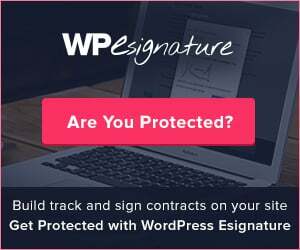 With WordPress User Registration you can automatically register WordPress users when a signer successfully adds (and submits) their signature to your contract or legal agreement. 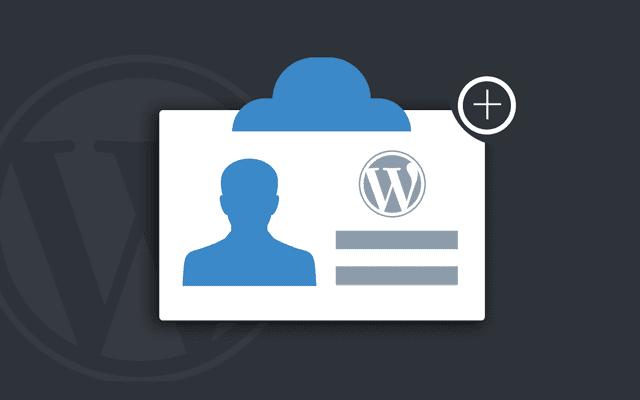 Once activated, the wordpress user registration plugin will create a WordPress user account for your signer after their document has been legally and successfully signed (without the need for the signer to enter any additional information). Beautiful Confirmation Email A beautiful html confirmation email will be automatically emailed to the signer once their wordpress registration is complete. If you’re wondering about customization the answer is Yes, you can absolutely customize the contents of the message. WordPress User Registration Automation This powerful wordpress register plugin completely automates the wordpress new user registration process and eliminates the need for manually creating WordPress user accounts for your customers, clients, and signers. This drastically reduces the time it takes for your new user or client onboarding process. Username is Signers Email The customer’s email address is used as the WordPress username (required by WP eSignature to sign their agreement) and a random password is automatically generated. When the signature process is completed, an email is sent to the signer containing their login credentials. The customer is also auto-logged into your website. You can choose the url that the new user is redirected to using our Url Redirect After Signing Add-On. If you’re looking to take this incredible add-on to the next level you can use this Add-On in combination with our Stand Alone Document Add-On which makes it possible to convert a blank page of your WordPress website into a court recognized UETA/ESIGN compliant document signing application. Your website visitors would visit your WordPress page that is dedicated to your agreement. Once they sign it they will automatically receive a WordPress user account and password as whatever role you defined. Think of your contract or legal agreement as a wordpress user registration form. Super-Admin Limit Access to Your Desired Roles: The super admin user for WP eSignature can block access (or allow access) to other WP eSignature document sender/creators from accessing this user registration feature. 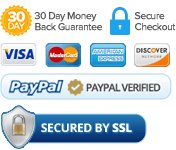 This means that you can have complete control and peace of mind knowing that only those who need the ability to implement this wordpress user registration plugin can and those who shouldn’t have access to this feature will… not have access to it. There are a couple checkbox options when creating your document and enabling this feature available for the document creator which allows them to disable the email, modify the email subject line, email body, and default user level etc. FIX: Naming convention bug that removed user from the filename causing errors. FIX: Added default action logic value.